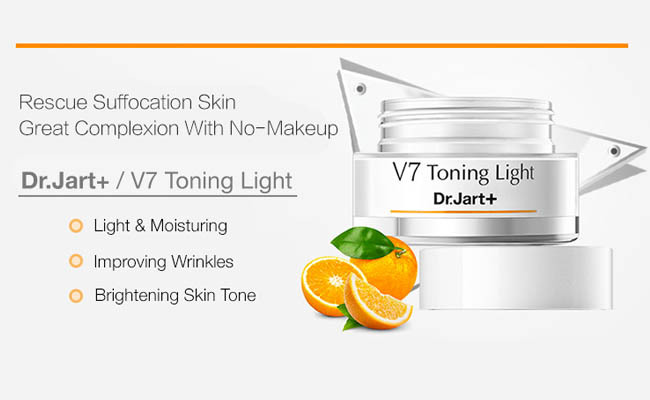 Home » Skin care » Did You Ever Think About Using Dr. Jart V7 Toning Light for Toning your Skin? Did You Ever Think About Using Dr. Jart V7 Toning Light for Toning your Skin? 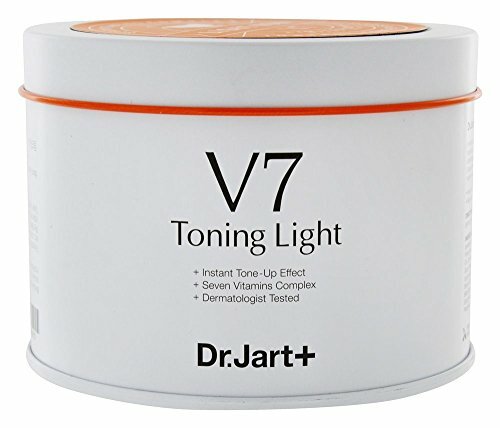 How does the list of ingredients of Dr. Jart V7 Toning Light look like? How should use the toning cream? What’s the main thing to have in mind when shopping? If you’re in need for a toning cream that doesn’t just help your skin look younger and healthier, but also addresses other skin problems, take a leap of faith with the Dr. Jart V7 Toning Light. The cream is a toning cosmetic product that not only tones your skin, but also brightens it. It improves the elasticity of your skin, resulting into a healthier and younger looking skin. The formula is efficient as it’s based on popular ingredients that are known for their multiple benefits for the skin. The cream stands out with an impressive formula that surprises with its combination of ingredients. Each of them has proven over the years that they work on skin, helping it improve its overall appearance and health. Hyaluronic acid- holds in moisture and leaves the skin smoother and glowing. It minimizes the appearance of wrinkles and protects against the bad UVA and UVB. It hydrates the skin and it’s the main ingredient of the cream. Vitamin A- protects against sun’s bad UVs and slows the signs of aging. It also boosts the healthy skin cell production and minimizes risk for infection of skin. Vitamin B3- sustains skin’s immunity and gives protection against the UVs. It diminishes hyperpigmentation and works against early signs of aging. Vitamin B5- hydrates and moisturizes the skin. It makes the skin softer and increases its elasticity. It minimizes redness and alleviates itchiness and pain of skin. It repairs a damaged skin which is why it’s a great ingredient for the dry, rough and scaly skin. It works against acne and calms symptoms in eczema. Vitamin C- it promotes the collagen production and minimizes inflammation. It speeds up the healing process and fades out skin discoloration. It hydrates, moisturizes the skin and fastens the healing in case of sunburns. The skin looks younger and the under eye-circles slowly improve. Vitamin F- it’s an important ingredient for the growth and maintenance of healthy skin cells. It gives your skin a healthy glow and lowers risk for cracking of skin. Vitamin H-boosts the growth of new skin cells. Your skin stays healthy and the vitamin H improves symptoms in psoriasis, acne, rashes, itchiness and dermatitis. Due to this formula, the cream tones the skin and diminishes the appearance of dark spots of various causes. It alleviates symptoms from various skin conditions and improves the health of your skin. It helps it gain back its younger and glowing appearance. The cream evens out skin tone and boosts the elasticity of your skin. Many include the toning cream as the last step of their skin care routine. You only need a bit of it as a little goes a long way. You need to apply it gently and pat it for faster absorbency. The cream has a nice consistency and goes fast into the skin. It doesn’t leave an oily or greasy feel after wards. You can safely apply the cream on the neck, arms and legs, whenever you want to brighten your skin. The cream fades out discoloration and other skin hyperpigmentation. It comes in a small recipient that is easy to use and to store. The cream doesn’t lose its color or properties after coming in contact with air. What you see is what you get and in this case you get a toning cream that doesn’t just fade out blemishes, dark spots, sun spots, but also works against the early signs of aging, helping your skin look younger and healthier for a longer time. Other similar products we have reviewed: the Neocutis Perle Skin Brightening Cream, the Chantecaille Blanc Gardenia Brightening Essence, the SkinBright Skin Brightener, the TruSkin Naturals Vitamin C Serum, the Admire My Skin 2% Hydroquinone Dark Spot Remover.